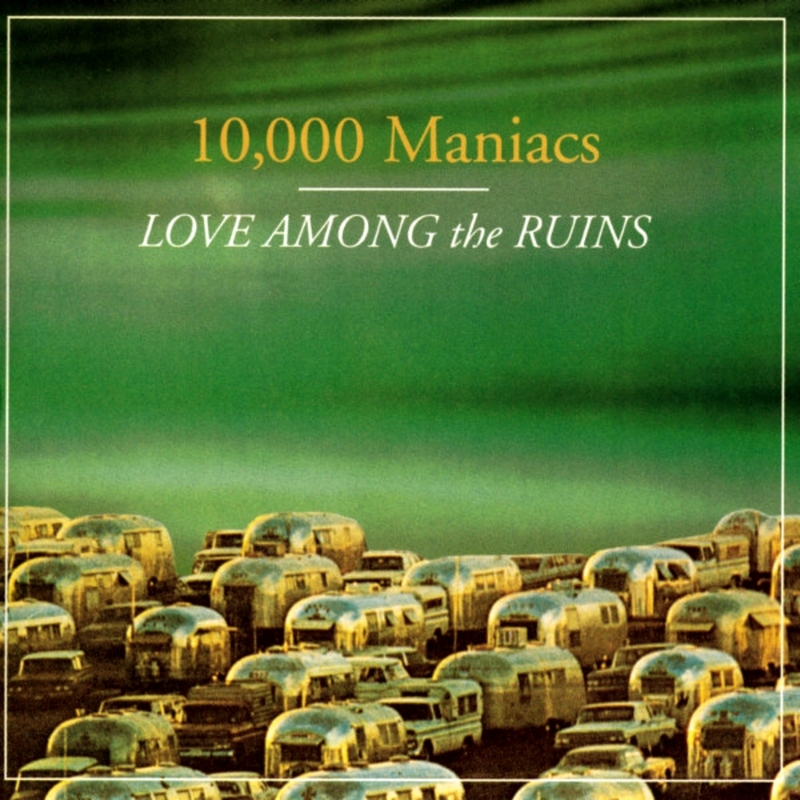 Most observers considered 10,000 Maniacs dead in the water following the departure of vocalist Natalie Merchant. Instead of calling it quits, the remaining members hired the jangle-folk duo John & Mary, whose guitarist, John Lombardo, played in one of the original incarnations of the Maniacs. The revamped group's first album, Love Among the Ruins, illustrated that the band could replicate their signature, gently jangly sound without too much effort, but it also illustrated that the group lacked focus without Merchant. Love Among the Ruins is a pleasant listen, but Mary Ramsey's thin voice occasionally grates, the songs are uniformly slight, and the cover of Roxy Music's "More Than This" is an outright embarrassment. Even with those flaws, the album isn't a disaster, and the surviving 10,000 Maniacs have demonstrated that they can continue with dignity, even if their inspiration is somewhat lacking.